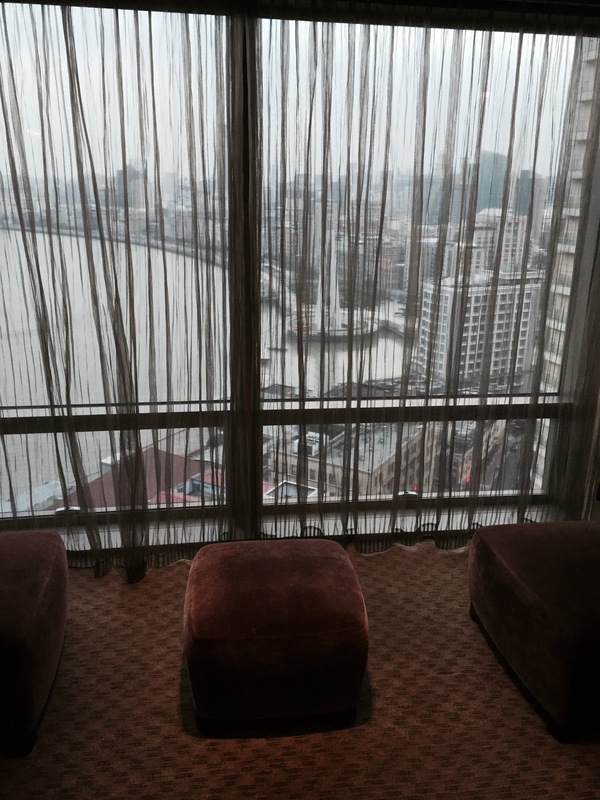 During my Shanghai mileage run vacation I stayed two-nights at the Hyatt on the Bund, a great hotel located next to the river. Earlier in the year I participated in the Rite Aid promotion where I earned two free Hyatt night certificates. The promotion required spending $250 at Rite Aid. I completed the promotion and received the certificates in the mail after a little back and forth with the promotions company. The certificates were valid at Premier properties which exclude a lot of big city locations as well as resort destinations. Fortunately, two of the properties in Shanghai accepted the certificates. 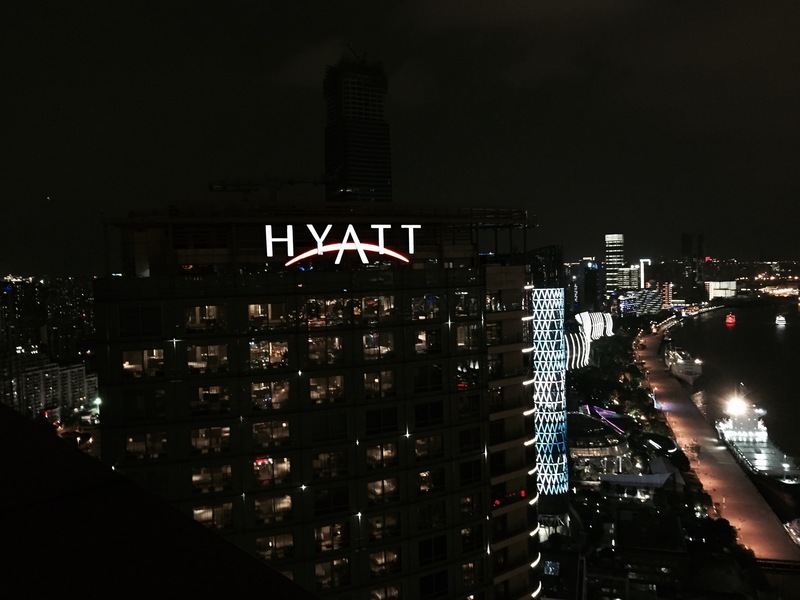 I selected the Hyatt on the Bund because of the location as well as the fact that the daily average room rates were higher than the other location. 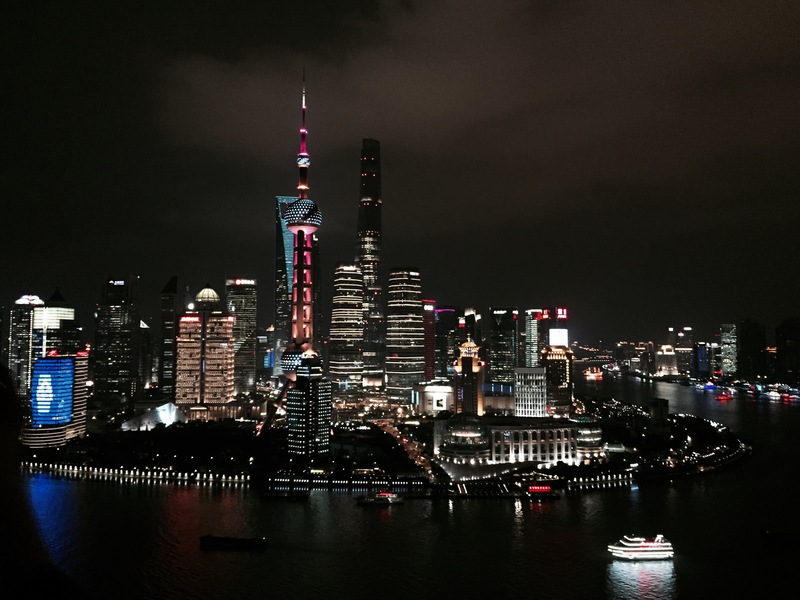 Once I arrived in Shanghai I had a little trouble getting an UBER so I used the regular taxi line and paid cash. Traffic was heavy and it took around 1.5 hours to get to the hotel from the airport for 200 RNB. A little more than what UBER quoted but still not bad. Upon arrival at the hotel, a bellman opened the taxi door and he welcomed me to the hotel. The bellman informed me where to go to check in and he thanked me and wished me a pleasant stay. As I approached the front desk, a colleague walked out and greeted me and invited me to the desk. The colleague welcomed me to the hotel and she offered assistance with checking in. My reservation was located and the colleague reviewed the details with me. The agent informed me that my room was upgraded to a king size bed club room with a good view. I thanked her and she said she was happy to assist me. The agent requested my Hyatt night certificates and it took a few minutes to process the check in. The colleague informed me that she would give two free drink tickets for the View Lounge on the 32 floor. She requested a credit card for incidentals and she made a copy of my passport. Once the check in was complete, the agent offered additional assistance before wishing me a pleasant stay. The colleague informed me where to go for the elevator and she thanked me using my name. The check in process was complete within five minutes. The room that I was assigned was on the 20th floor. I took the elevator up to the room and utilized the key to open the door. 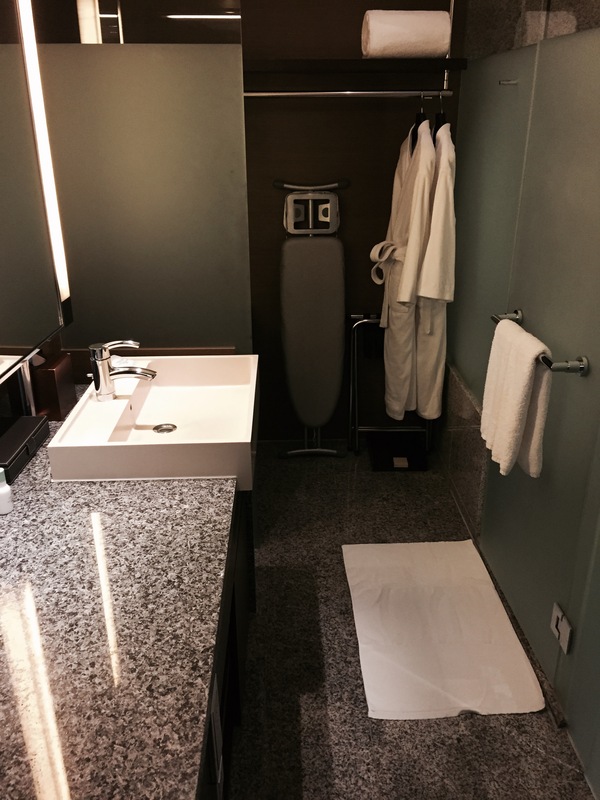 When I opened the door I discovered a large room with a small sitting area, desk and separate bathroom with rain shower and bath tub as well as a king size bed. The room decorations were minimal but elegant. A large window was present offering an excellent view of the business area as well as the walkway and park along the river. The room was clean and no defects were noted. The desk offered seating for two as well and a good area for working on a laptop. Two comfortable chairs were also present near the windows with a foot stool. The bathroom was clean and the bath amenities were upscale and they had a pleasant scent. A box containing a variety of toiletries was also present in the room. The standard bath amenities included two types of soap, body wash, shampoo, conditioner, lotion and a scrubbing bar. The amenities were branded June Jacobs Spa Collection and were Green Tea and Cucumber scent. colleague greeted me warmly and presented a welcome amenity. The colleague handed it to me and he asked me to have a good stay. The colleague did not enter the room. 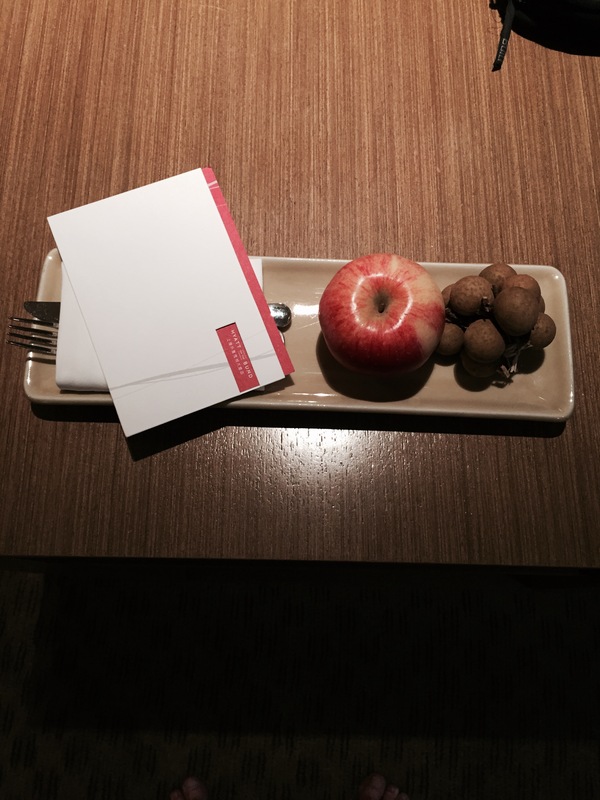 The welcome amenity included an apple and grapes on a decorative plate. A personalized welcome card was present with my name written on it and a signature by the guest manager of the hotel. The fruit was fresh and sweet and it had an excellent taste and flavor. The room was quiet throughout the stay. The bed was comfortable and I was able to get a good night sleep. 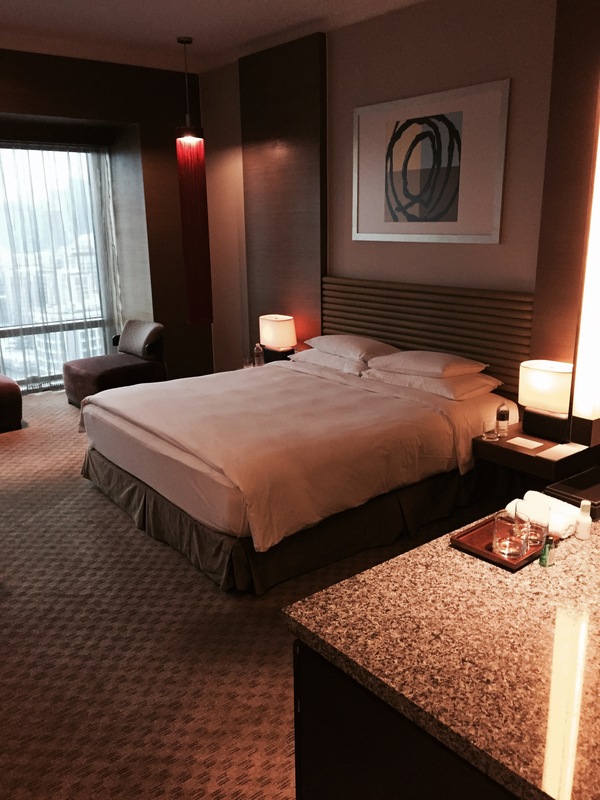 Similar with other hotels in Asia, the bed did not feature a flat sheet. It only had a fitted sheet below and then the comforter so my feet would stick out from under the bed. The pillows were somewhat firm but overall the bed was comfortable. The shower featured a rain shower which allowed for a comfortable shower. Over-sized bath towels were offered and the linens were of excellent quality. The housekeeping service refreshed the room daily and provided two water bottles per day. The service was completed when I was outside the room. My personal amenities were organized neatly near the sink during the service. 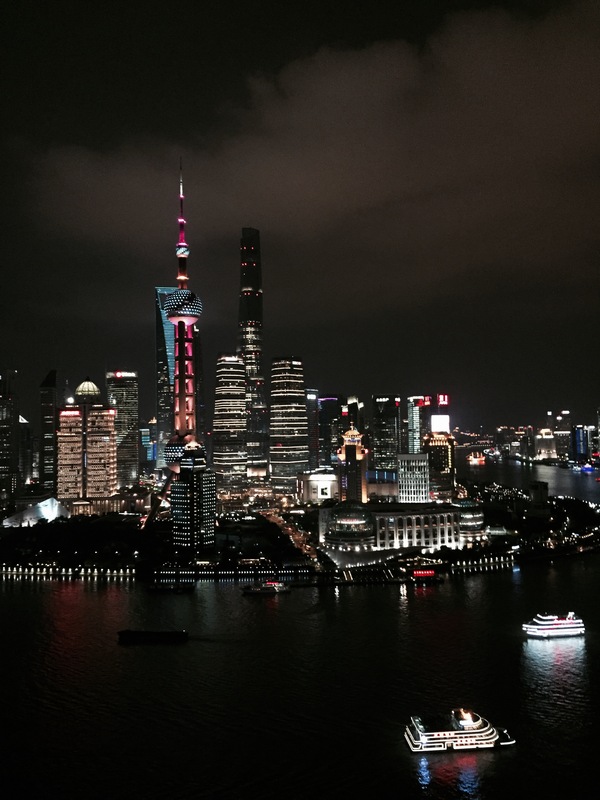 The room was a club room so it allowed access to the Bund Club lounge on the third floor of the hotel. 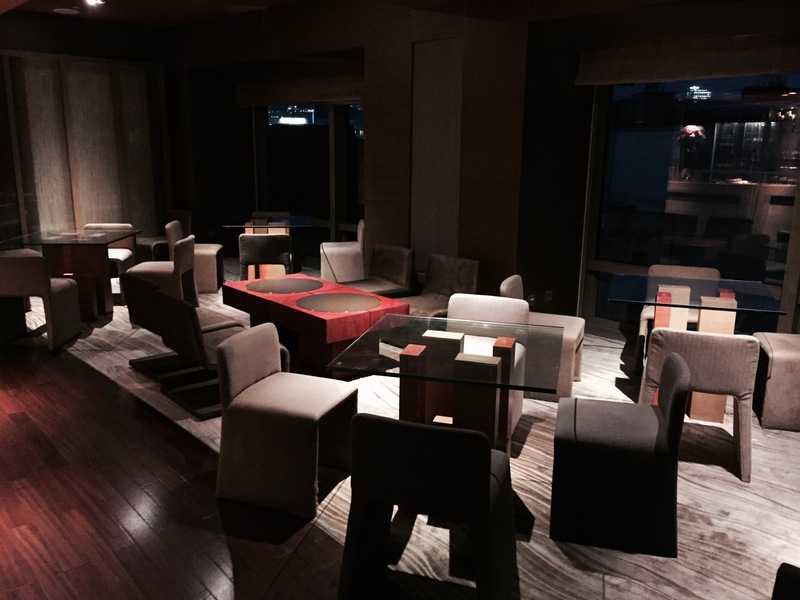 The club lounge featured plenty of seating area with windows overlooking the city. The lounge served breakfast and dinner/appetizers with wine, beer and cocktails. The club lounge was clean and well organized. A variety of tables and chairs were available for seating and the area was in excellent condition. 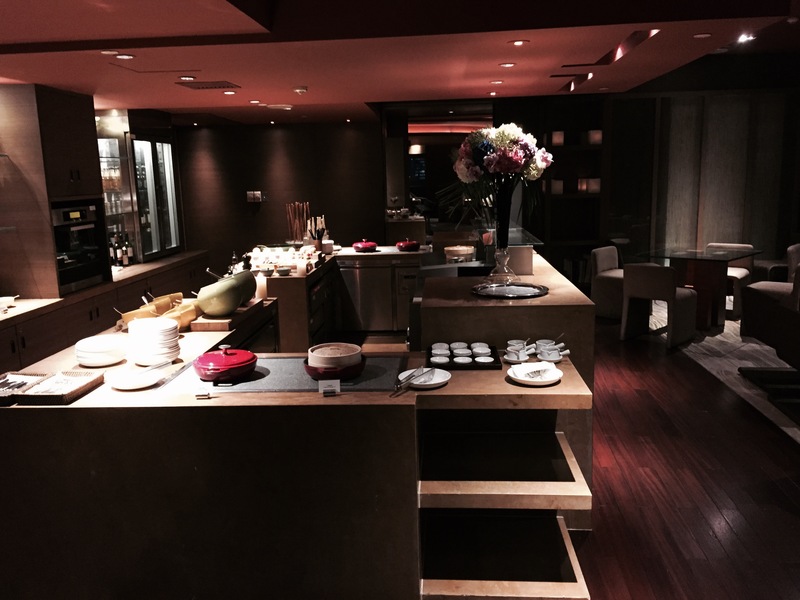 I visited the club lounge three times during the stay. I visited it two times for breakfast and once for evening appetizers and champagne. On each visit the lounge was staffed with pleasant servers who greeted me warmly upon my arrival and they escorted me to a seating area and offered something to drink. The colleagues were attentive and they offered additional beverages while I was seated. 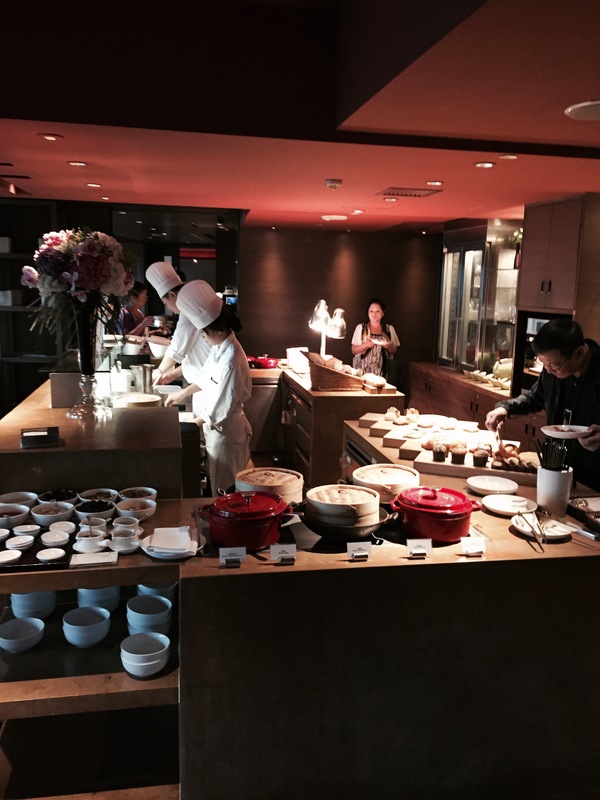 The breakfast service included Asian and Western Options including a made to order egg station. An English breakfast was available with baked beans, mushrooms and has browns. A carving station was also present with meat. The Asian options included congee, dim sum and a salad. In addition, cheese, meats, yogurts and a variety of pastries were available. An espresso machine was present offering a variety of coffee and cappuccino options. The evening reception included dim sum, salad, cheese, crackers, meats, salads with a variety of toppings as well as some noodle options. A dessert station was present with cheesecake, cookies and other cakes. Wine, beer, champagne and cocktails were available along with fresh juices and sodas. 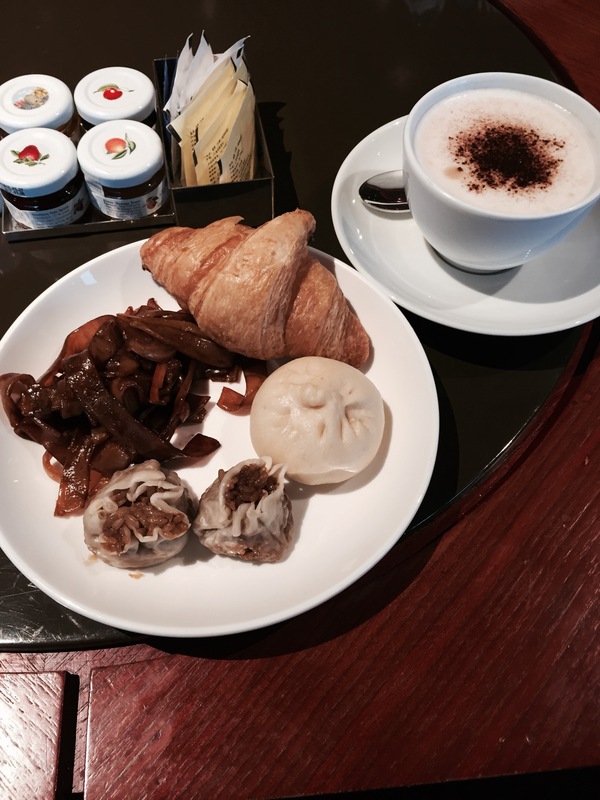 The food that I sampled at breakfast included dim sum, croissant and fresh fruit. The breakfast items were served at the correct temperature and they had an excellent taste. The dishes were clean and they had a good option. On the second morning, I had a western breakfast including a made to order omelet, baked beans, mushroom and hash browns. The food was fresh and it had a good taste and flavor. I had a cappuccino. The cappuccino had a rich espresso flavor and the milk was frothed well. The cup was topped with cinnamon. 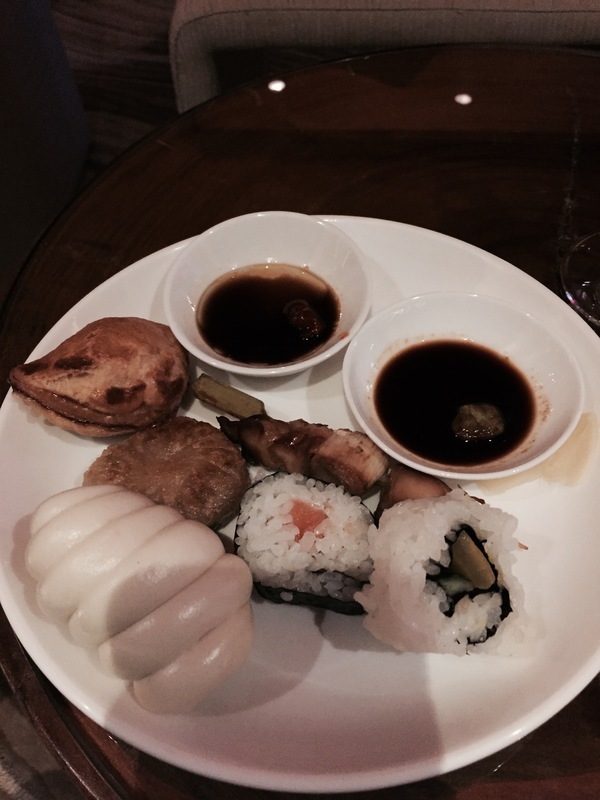 At the evening reception, I sampled dim sum and had three different options as well as some noodles. The dim sum was all served hot and it had an excellent taste and flavor. I also sampled a salad. All the vegetables were fresh and they had a good flavor. 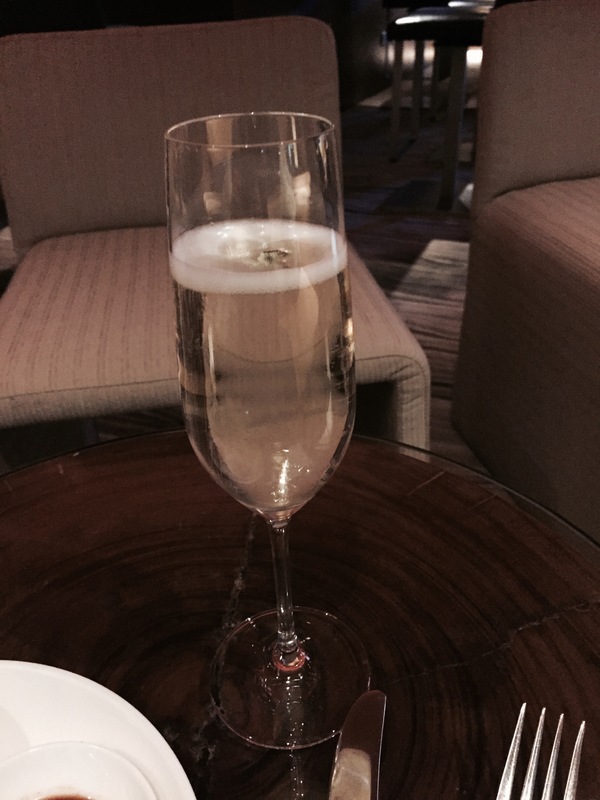 I had a glass of champagne. The champagne was brut and it had a good flavor. I visited the View Bar on the 32 floor on Friday evening. I was greeted by two colleagues when I arrived and they asked if I was staying in the hotel. I said yes and they invited me to enter the bar. The bar was decorated in dark colors and it had a lot of decorative bottles along the wall. The bar area was clean and the bartenders were friendly and polite and they welcomed guests and were proactively offering assistance. 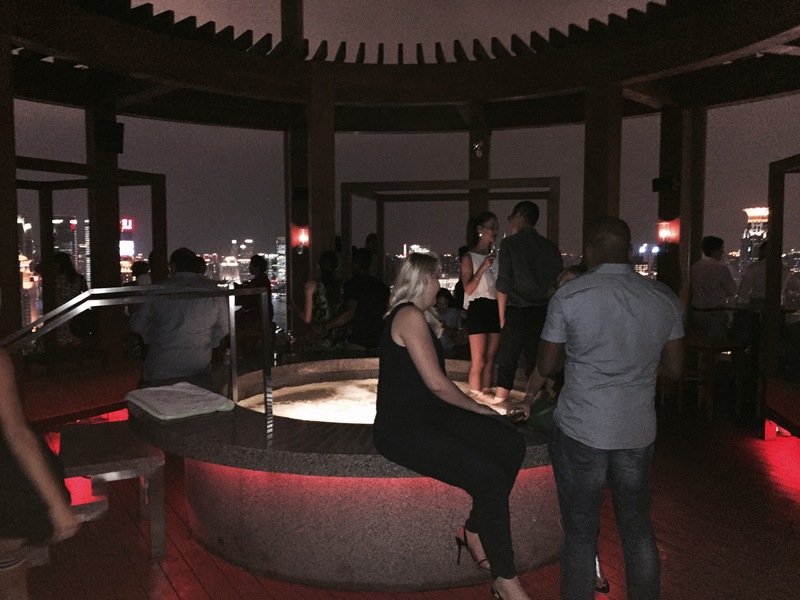 The bar had a stairway leading to an open deck area that had a small hot tub as well as amazing views of the Shanghai skyline. The bar was busy with guests but I was able to stand near the ledge and took in the skyline and the nighttime lights. I was given two drink tickets at check in. The drink tickets were good for wine, beer or some mixed drinks. I used a ticket for a Stella and was given a bottle. The colleagues checked in with me while I was enjoying the beer and they offered another drink while I was standing near the ledge. I declined and the colleague thanked me and they wished me a good evening. Some of the guests were utilizing the hot tub and the servers were roaming around and offering drinks and removing the used glasses. Overall the visit to the View Bar was fun and I enjoyed the view of the city. The check-out process was efficient. I approached the front desk about 12:00 PM. When I arrived there were five colleagues working and 10 guests waiting for assistance. I was greeted within five minutes and the agent used my name and asked me about my stay. The agent asked how I liked the room. I said it was excellent and he thanked me. I had not incurred any charges so the check-out process went by quickly. The colleague thanked me for staying at the hotel and he invited me back. 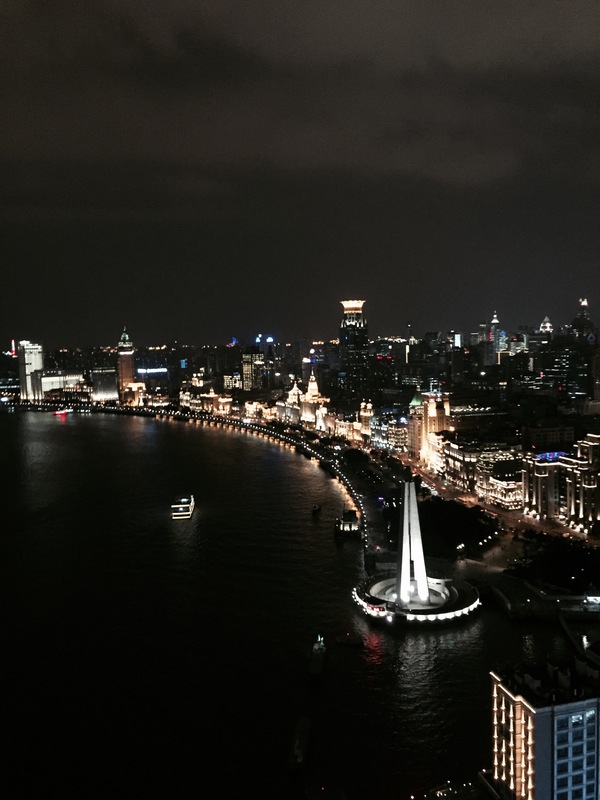 Overall I felt that the stay at the Hyatt on the Bund was enjoyable. It was a very nice surprise getting the upgraded room with club access. 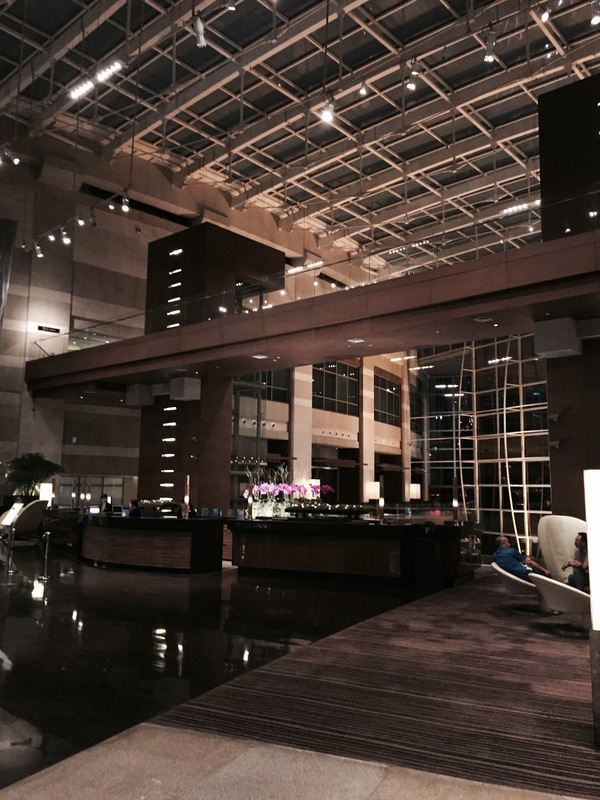 As a mid-tier Hyatt member I was not expecting anything so it was awesome having the lounge access. The view from the room was excellent as well. I would return to the hotel in the future.